Did you know that I could place a cracker on my forehead and move it to my mouth without using my hands? Yeah, I did not know that either, but more on that in a moment. Cigna invited Tracy and I to join them for their meetup at the 2017 runDisney Walt Disney World Marathon Weekend. Candace and I had a great time at Cigna’s meetup at the 2016 Disneyland Half Marathon Weekend, so Tracy and I were definitely looking forward to what the event organizers had planned for us this time, and they did not disappoint. 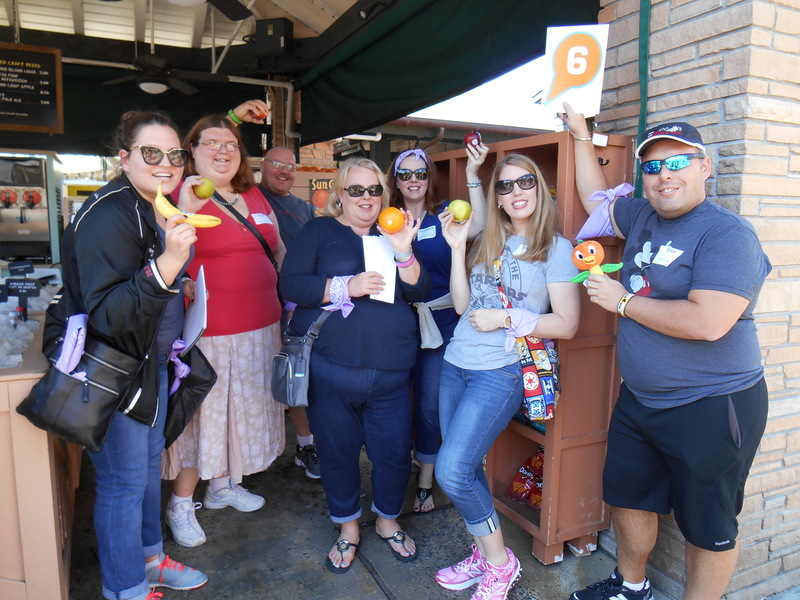 We met up with our fellow invitees at the Grand Floridian Resort and were bussed to the backstage area of Disney Hollywood Studios (where I may or may not have seen the taking apart of the Christmas decorations, but I have no knowledge of such a thing). 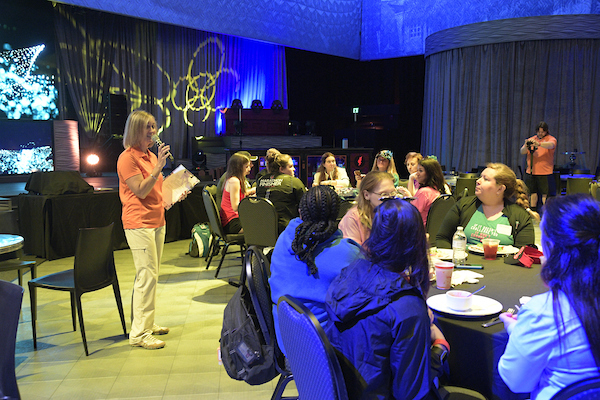 We were treated to a delicious lunch in a very cool Disney venue: Club Villain. I’m not sure whether, if you attended this special ticket event, you would have the same opportunity to appreciate the detailed theming of this space, but for us, it was very cool, especially the poisoned apple disco ball that hung overhead. 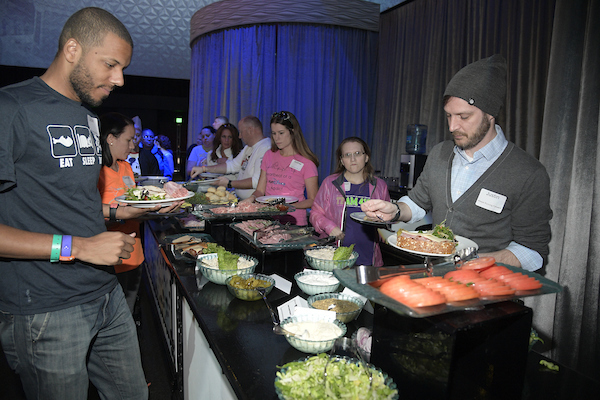 It was a pleasure dining and getting to know some old and new friends from the running and Disney communities. But, lets be honest, we were there to compete and have some fun! It was soon time for our hosts to explain the challenge that we would all be undertaking: an Amazing Race-style team competition INSIDE of Disney Hollywood Studios! 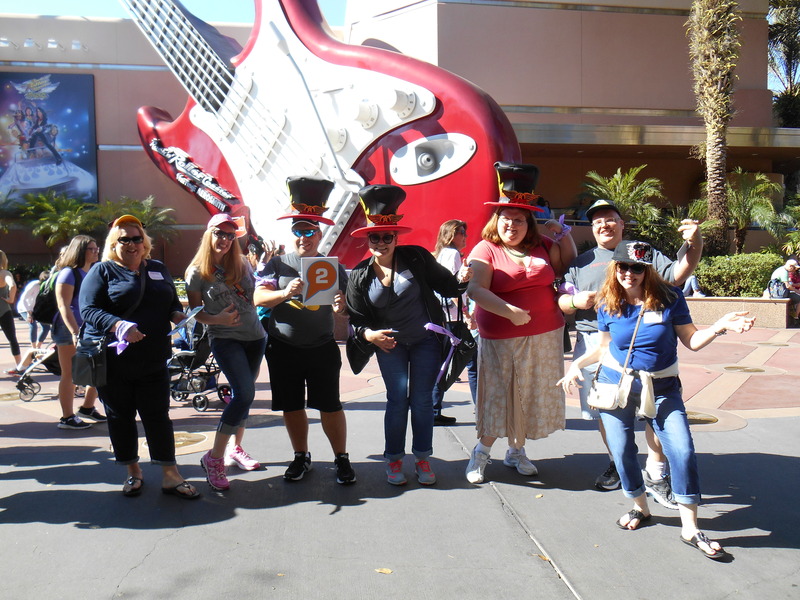 OK, allow me to geek out for a moment, you all know how much Team Casual Runner loves trivia, so when we learned that we would have the chance to participate in a trivia and scavenger hunt challenge inside of a Disney theme park (and not get kicked out for it), we were stoked. Game on! We were randomly divided into teams of around 7 members each, designated by a mascot. 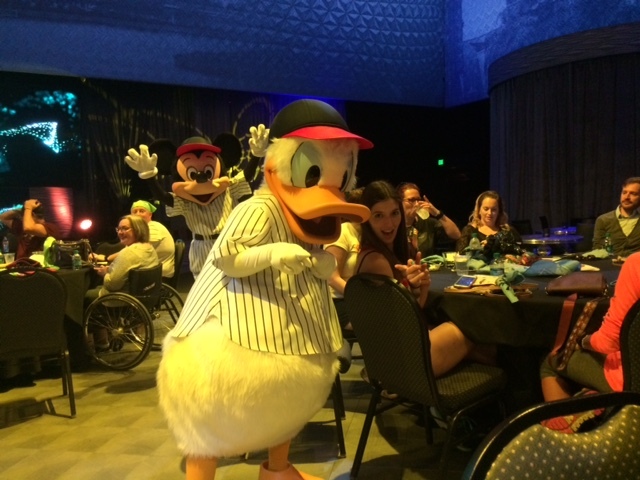 Upon learning this, Tracy turned to me and declared: “I better be on team Donald Duck…or else!” Fortunately she was indeed selected for team Donald, so all was right with the world. 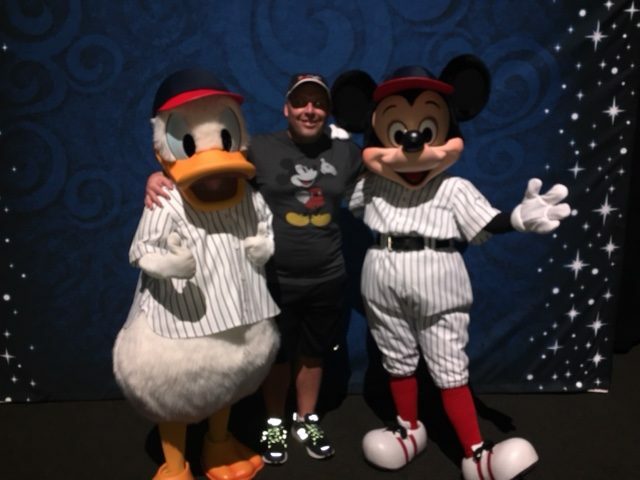 I found out that I would be joining Sara (from the podcast, “Not Real Runners”) on Team Daisy Duck. 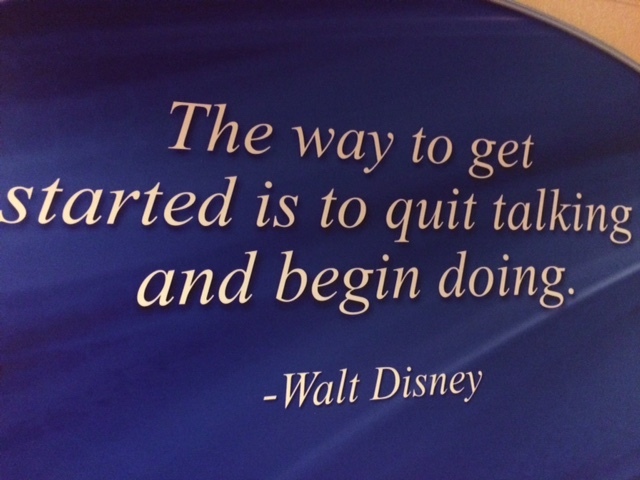 And begin doing is precisely what we did! Once inside Disney Hollywood Studios we had to decipher various clues that directed us to what needed to find so that we could photograph ourselves at various parts around the park. Many of the clues were based on health and fitness, thus blending Cigna’s mission with Disney itself. If you have never done one of these team challenges before, you should know two things. First, they are a lot of fun if you commit yourself to the adventure. Second, even more challenging than the event itself can be getting all of the personalities of a team of strangers to work together as one. As runners, we are used to taking on individual challenges and arranging our priorities to overcome those challenges, and often times, we do it alone. Thus, when confronted with problems that require superior teamwork to solve, one must call on a different set of skills and focus. I have to embarrass Sara for a moment. She did an amazing job of unofficially taking the lead on the clues and making sure that everyone’s voices were heard and contributions were received. I was both impressed and glad to have her on my team. All of the clues were together in a spiral bound book, which made working on them with 7 people cumbersome. Realizing this, I took the book and started ripping pages out so that we could work on them in sub-groups. One of my teammate’s reaction suggested that I had just cut a “do not remove” tag off of a mattress (props if you get the movie reference you children of the 1980s), but this strategy proved effective as we were able to more effectively marshal the resources and skills of individuals team members while remaining together as a group. We worked through the clues we could decipher, which directed us to various locations around the park. Once there, we documented our successful problem solving with a team photograph, either with or without props. Needless to say, the prop photos invited both confusion and delight from nearby park guests and cast members, so we gladly explained to them the challenge so we would not ruin their Disney magic in any way. At various points we had to work with other teams to complete physical challenges, and even complete some on our own as individuals. Such as…yes, placing a cracker on my forehead and getting it into my mouth without using my hands. I am not sure why these silly games were so much fun, but they were. Needless to say, a good time was had by all. Unfortunately, time expired before we were able to complete all of our tasks. We made our way back to Club Villain to await our fate. While our team finished second to last, I don’t think anyone seemed too bothered by it. Also we did beat Tracy’s team, so there is that! 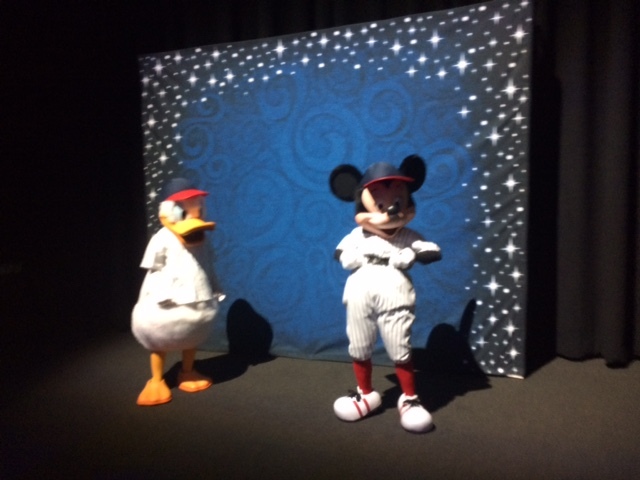 We all made a good showing nonetheless, and, we welcomed in some special surprise visitors…Mickey and Donald!…IN BASEBALL UNIFORMS! This made for a fun meet and greet. Thanks again to Cigna for including us in Cigna’s Great Race. While we did not win, it did not really matter as we had a great time and made some new friends in the process. 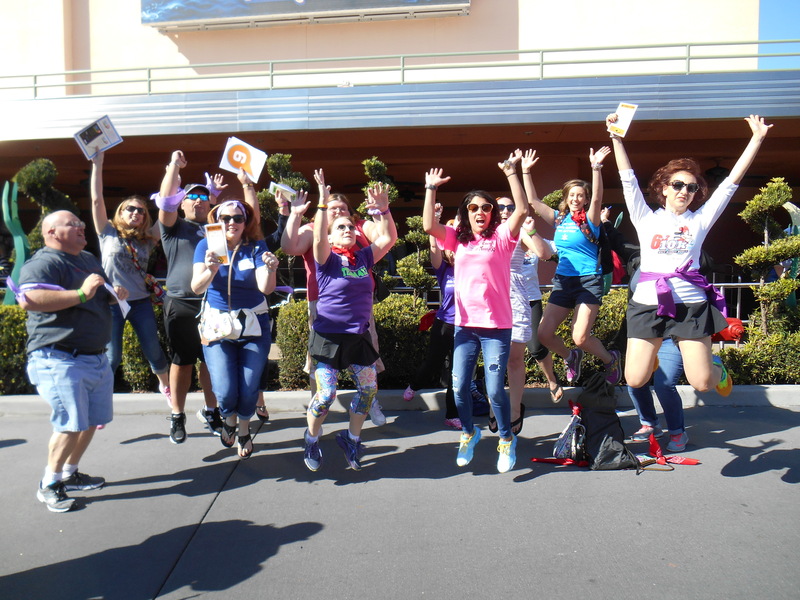 Read about Cigna’s meetup at the 2016 Disneyland Half Marathon Weekend. 2017 Walt Disney World Marathon Weekend: Hits & Misses – COMING SOON! Cigna Meetup at the 2017 WDW Marathon Weekend – COMING SOON!